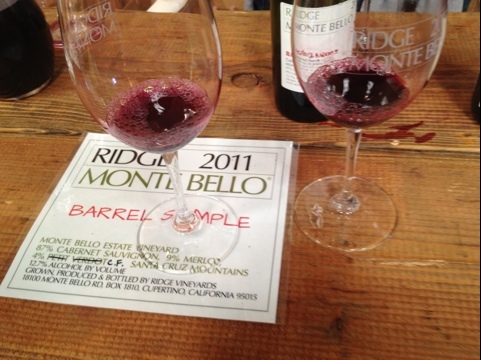 This last Saturday, Kara and I woke up bright and early to head over to Ridge Monte Bello in Cupertino for their 2011 Monte Bello Component Tasting (Our first as members of the Monte Bello Collector Club). 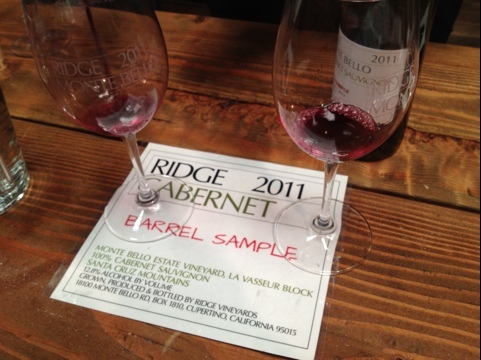 Now, all of these Ridge events are sick, but the Component Tasting has to be the most sickest. 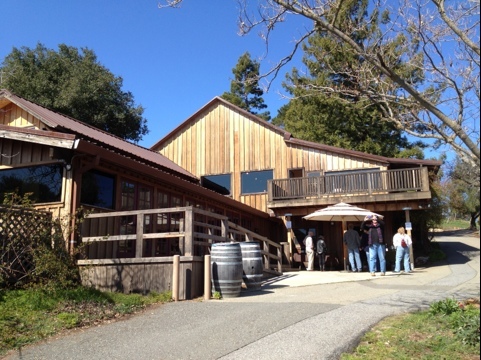 When we arrived at the Monte Bello tasting room at 11:30am, there were already folks lined up to get their taste on. Upon arriving, we were presented with our tasting menus along with a sample of the soon-to-be-released 2010 Estate Chardonnay (served in glasses that we were more than happy to add to our collection). 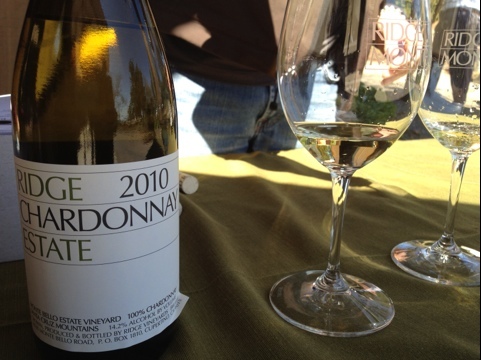 The Chardonnay had a great nose of cream and sweet oak. On the palate, there was a perfect balance of lime fruit, stone, and toasty oak. This wine would go great with some soft cheeses. While tasting the Chardonnay, Kara and I took a moment to look over the tasting menu. 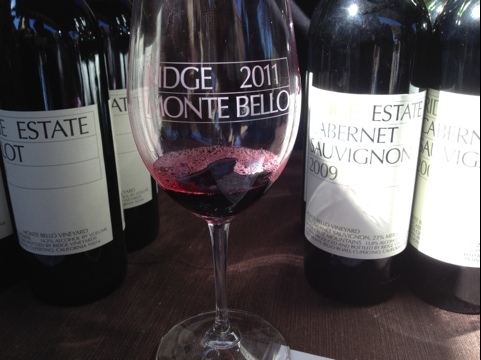 The idea of the Component Tasting is to sample the four different varietals (Cabernet Sauvignon, Merlot, Cabernet Franc, and Petit Verdot) to get a good sense of how the different parts of the 2011 Monte Bello will come together to make one of the consistently epic Bordeaux blends of California (and the world). 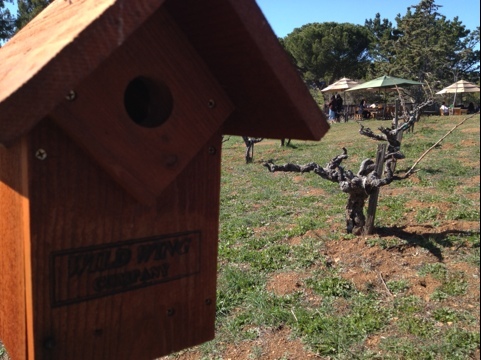 There is also a barrel sample of the first assemblage of the 2011 Monte Bello (to be released in 2014), as well as the recently released 2009 Monte Bello, the 2006 Monte Bello (from the library), and some other surprises. One look at that menu, and I was stoked to the hella! 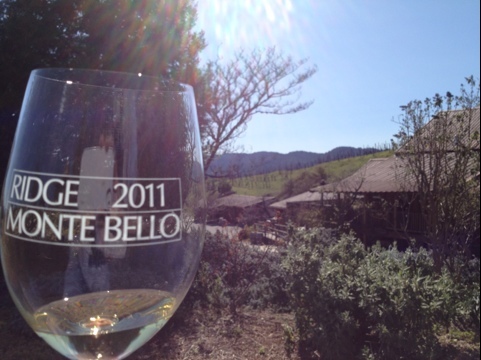 A toast to the sun, the vineyard, and the barn at Monte Bello. 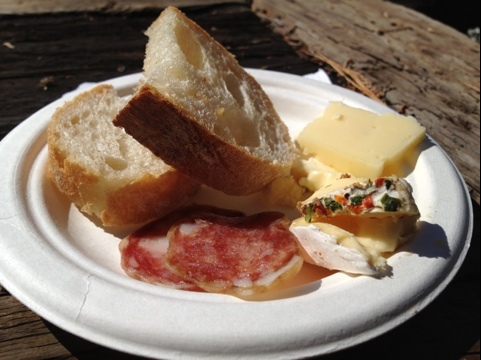 Kara and I took our glasses (and palates) to the barn to get our taste on! 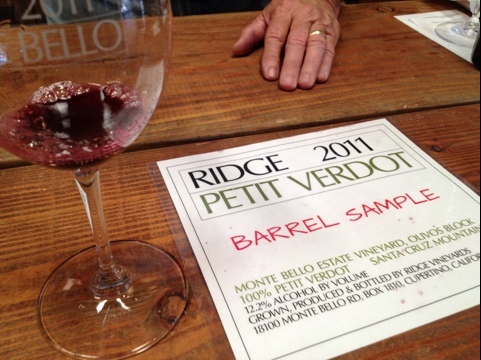 The Petit Verdot is the only varietal that did not make it into the Monte Bello assemblage, but don’t get it twisted. This wine is a beast. The PV brings a beautiful pinkish purple color. On the nose, there’s a bunch of blackberry fruit, chocolate, and oak. The tannins on this wine dominate the palate, giving it a lovely grip. On the palate there’s a nice play between sour cherries and red bell peppers. I sure hope Ridge does something fun with this wine. I want to figure out how to make scented candles. I want to make one that smells just like this Cabernet Franc. On the nose, there is an immediate, undeniable scent of fresh ground espresso. The good stuff. You know what I’m talking about. Add in a touch of cocoa powder, raspberry, and orange zest. On the palate, there’s a great acidity of cranberry and a touch of green bell pepper. It’s medium bodied with big tannins. There’s a great dense red color to this Merlot. The nose is loaded with blueberries. Behind the blueberry fruit are some nice herbaceous layers and tobacco leaf. On the palate, this is a juice monster of cranberry, cherry, and red apple. Very nice. 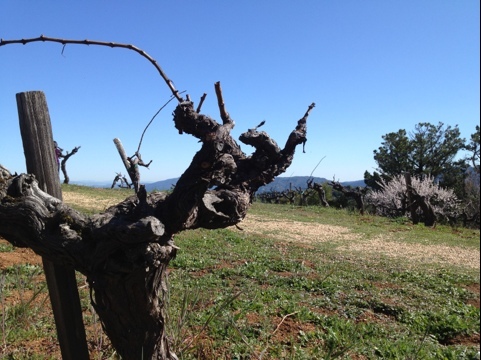 The backbone of Monte Bello, this Cabernet brings it from all angles. Dense reddish purple color. Chocolate, orange, and (yup) espresso on the nose. Firm tannins. Lively acidity. Beautiful cassis and cranberry fruit. Blackberry, blueberry, espresso, and a nice herbaceousness to the nose. 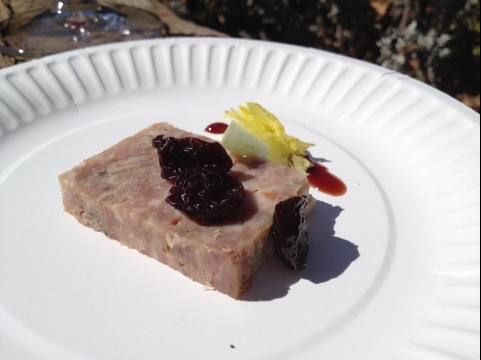 There is some good cranberry fruit along with black tea and olives, rounded out with fine tannins. 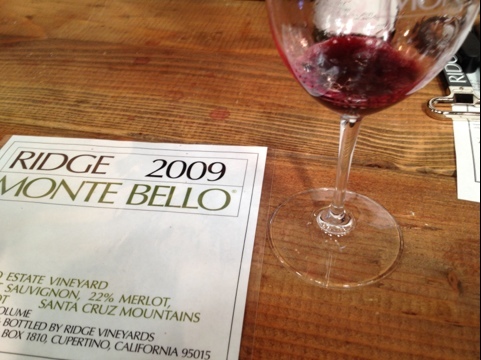 Just released, the 2009 Monte Bello is very young. This is one to stash a way for a long time. I’d love to see how the flavor profile comes together in a few years. There’s a really neat process of blind tastings (with controls and everything) that goes into assembling the Monte Bello. 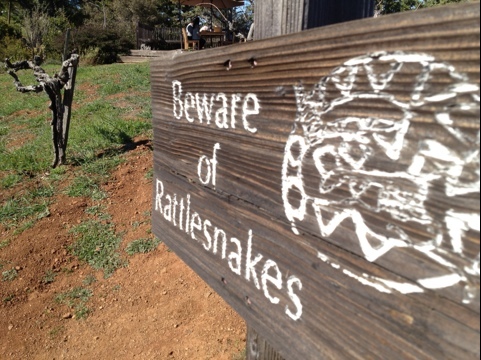 I suggest you check out what Christopher Watkins (Tasting Room Manager and Assemblage Participant at Monte Bello) had to say about it in his blog. It’s hella interesting… That, and he’s a much better writer than I am. 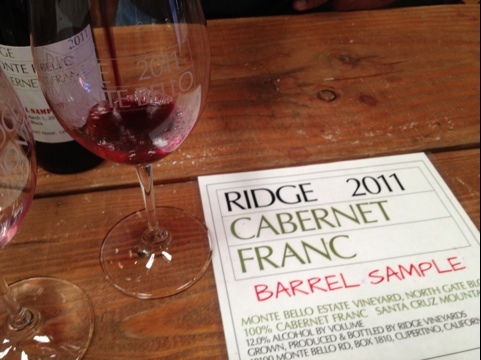 As a result of the first assemblage, this 2011 Monte Bello Barrel Sample consists of 87% Cabernet Sauvignon, 9% Merlot, and 4% Cabernet Franc. Of course, as the wine develops in the barrel, (winemakers) Paul Draper and Eric Baugher may decide to add in grapes from other blocks to round things out. Nose: Espresso (now I’m just obsessed with that scent), chocolate, and orange zest. Taste: Cranberries, raspberries, blackberries, and red currants are all present up front. There is a layer of red apple skin. There are some very nice fine tannins that smooth this wine out. Another very young wine (considering my bottles don’t arrive until 2014), but I’m excited to see how this wine evolves over the next couple of decades. And that espresso thing is just driving me crazy. I asked Eric Baugher about those espresso notes. I was wondering if that was representative of the vintage. His take was that it was more reflective of the wine’s youth. He says that those toasty espresso notes are primarily a result of the American oak barrels. As the wine ages, he would expect the espresso to mellow out and give way to the fruit. Later, in talking to Christopher Watkins, he suggested that a lot of the Earthy notes (like the espresso) are going to marry well with the acidity. The expectation is that the fruit of this wine is really going to flesh out as the wine develops in the bottle. This wine is gonna be F-ing rad! 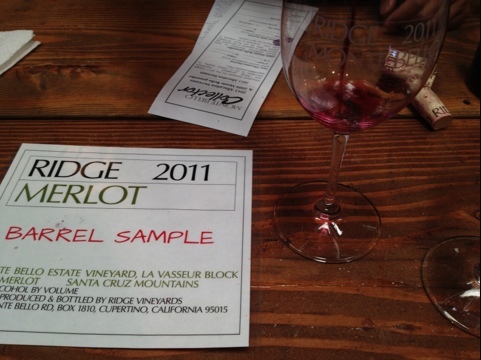 It’s been a while since Ridge has released a Merlot on its own. I’m glad they’re bringing it back. This bad boy is juicy. Tons of red apple with layers of tobacco leaf and black olive. The goods! 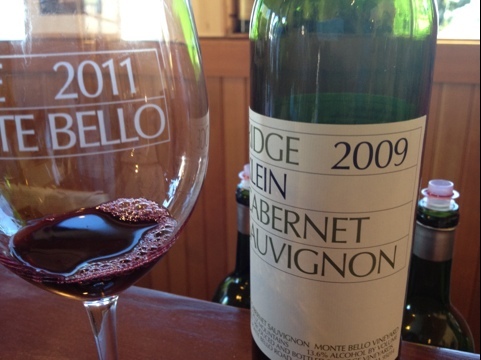 I’ve always loved the Ridge Estate Cabs. Pound for pound, these wines are some of the best cabs for their price ($35). Dark red color. Sweet oak and plum on the nose. Bright raspberry and plum on the palate with chalky (you know I love chalk) tannins. The bomb! This was my second time tasting the Klein Cab. The first time at the Ridge Blogger Tasting in December of last year (You can read my original notes here). 3 months later… I’m loving this wine more than I did originally. Hella chalky. Cranberry. Plum. Elegant. 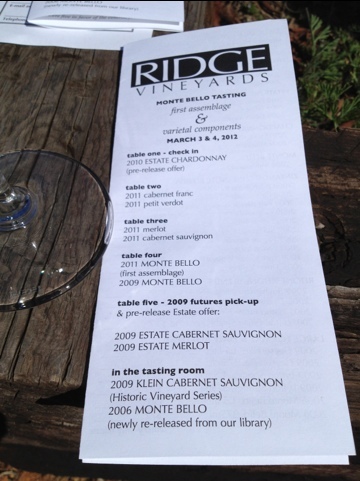 Ridge 2006 Monte Bello from the library and the "famous" rings of Christopher Watkins. What a great way to close out the tasting. 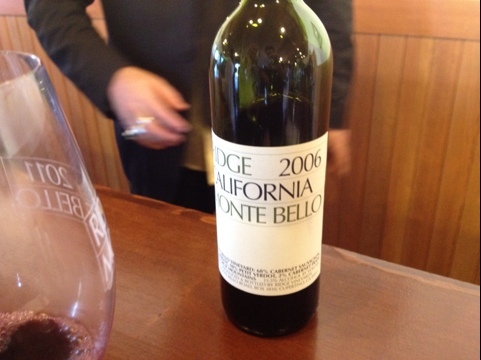 The 2006 Monte Bello has just enough age on it to give that fleshy fruit that people love, but you know that it has the structure to keep developing for another decade or two (or three). Great concentration of red fruit. Bright acidity. Earthy notes of black tea leaf. The ’06 was my favorite wine of the day. This place is for the birds. 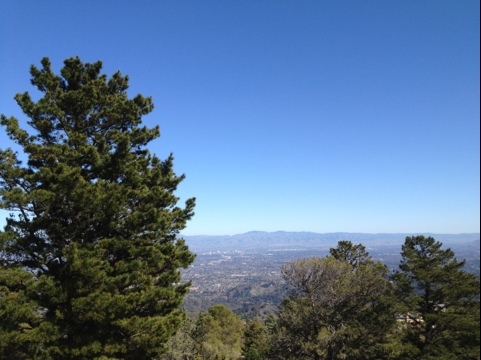 The only thing that was left to do, was figure out how to get off of the mountain. This entry was posted on March 3, 2012 at 4:11 pm and is filed under Uncategorized. You can follow any responses to this entry through the RSS 2.0 feed. You can leave a response, or trackback from your own site. Great recap Bruh! I went today! Truly a great event! And couldn’t ask for better weather! Maybe I’ll catch you at the next one in May! I can feel a name change coming……Stay Chalky Wine Blog! Very cool concept with the component tasting, although I would love to get my hands on that PV you were describing. That one sounded hella tasty, but so did everything else. Next time I’m up there, I’ve gotta ask them about the PV. I think they may add it to their Historic Vineyard series.